W. W. Norton & Company, 9780393609646, 320pp. Hans Asperger, the pioneer of autism and Asperger syndrome in Nazi Vienna, has been celebrated for his compassionate defense of children with disabilities. But in this groundbreaking book, prize-winning historian Edith Sheffer exposes that Asperger was not only involved in the racial policies of Hitler's Third Reich, he was complicit in the murder of children. As the Nazi regime slaughtered millions across Europe during World War Two, it sorted people according to race, religion, behavior, and physical condition for either treatment or elimination. Nazi psychiatrists targeted children with different kinds of minds--especially those thought to lack social skills--claiming the Reich had no place for them. Asperger and his colleagues endeavored to mold certain "autistic" children into productive citizens, while transferring others they deemed untreatable to Spiegelgrund, one of the Reich's deadliest child-killing centers. 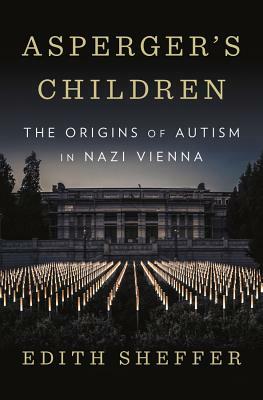 In the first comprehensive history of the links between autism and Nazism, Sheffer uncovers how a diagnosis common today emerged from the atrocities of the Third Reich. With vivid storytelling and wide-ranging research, Asperger's Children will move readers to rethink how societies assess, label, and treat those diagnosed with disabilities.